The aim of the Junior Travel Ambassador Scheme is to increase safety awareness and promote active travel amongst pupils, and encourage them to accept responsibility for keeping each other safe. Over thirty borough primary schools are now part of the scheme which has been running for over 20 years (known previously as the Junior Safety Officer Scheme). In July, each primary school in the Borough is invited to join the scheme and appoint two or three Junior Travel Ambassadors (JTAs) from Year 5, and occasionally from Year 6. The Junior Travel Ambassadors serve for a period of one academic year, during which time they work in close partnership with the Borough’s Road Safety Team to promote safety initiatives and pass on active travel messages in their school. At the beginning of the autumn term all new JTAs are invited to a Seminar where they meet the Road Safety Team. The Officers are given a special information pack, and their JTA badge. The seminar provides an opportunity for pupils to attend workshops on various safety issues. Throughout the year the Officers are asked to promote various safety campaigns, maintain a notice board, take assemblies and organise competitions promoting safety. 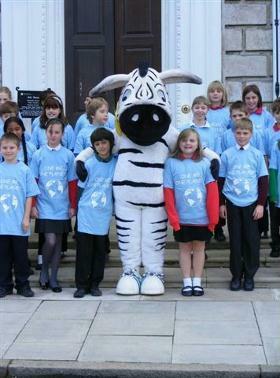 Each year the Ambassadors compete with each other to become a ‘Junior Travel Ambassador of the Year’. The Pupils who have worked especially hard to put over their safety and active travel messages and have maintained an impressive notice board are presented with a certificate and prize.